Some of New York City's senior women are getting recognized for their stunning fashion sense at Advanced Style. 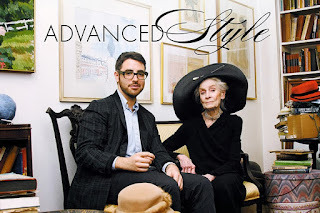 Blogger Ari Seth Cohen has been taking pictures of chic women over 60 since 2008. These women may have wrinkles, they may have a few extra pounds but no one can deny they have beautiful style. You have to check out this site. It's just incredible. Getting beyond "You are so cute!"